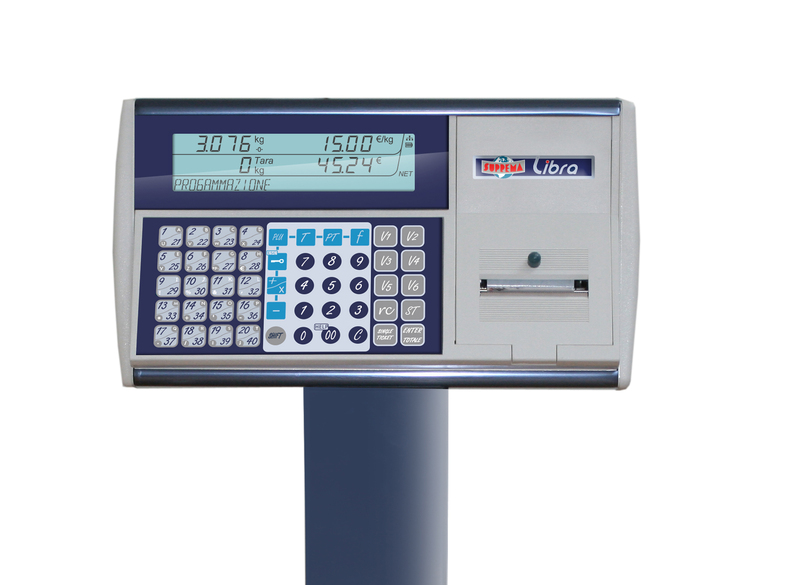 Libra is the new electronic scale made by Suprema, indicated for all the point of sale where the scale interconnection is needed. 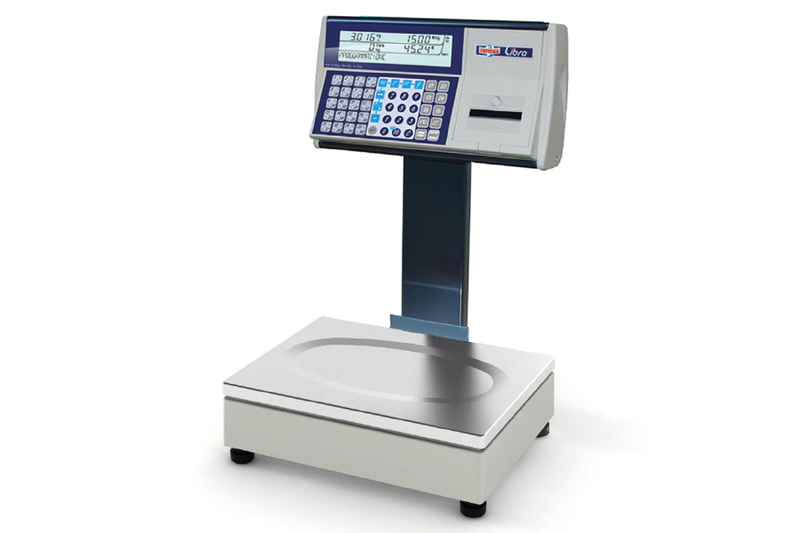 Libra scales can be connected between them in order to create a real network in different department in the shop. Master-Slave protocol allows customers to update PLUs using a unique scale and all oter scales connected in the network are automatically updated. 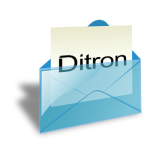 The scale can be also managed using third party backoffice applications. Mechanical keyboard guarantees simply and user friendly approach. The waterproof keyboard allows easy cleaning. The high brightness LCD displays give a great visibility for users and customers. Libra has also a rapid adhesive printer roll. Customers can communicate with scales using Ethernet port. - TICKET MODE: user will be able to record each transaction and print all transactions in one ticket at the same time. Adhesive or non-adhesive thermal paper roll. ticket, single ticket, check-out, only weight.